Out with the old and in with the new…the cabinet reshuffle this week brings changes for HE. Goodbye to Jo Johnson as he departs from the Universities Minister role to become Minister of State for Transport and Minister for London. Nick Hillman, Director of HEPI, reflects on Johnson’s legacy in the Times Higher, and Wonkhe present a more mixed picture in Jexit leaves a mixed legacy in HE. Sam Gyimah has been appointed as Universities Minister. The role remains under both Department for Education (DfE) and Department for Business, Energy and Industrial Strategy. Sam has been a consistent front bencher within the Commons since 2010 in his role as PPS to the Prime Minister, since then he has undertaken roles as a party whip, within the cabinet office, childcare and education (DfE) and prison and probation (Ministry of Justice). Sam voted to remain in the European referendum (his interesting 2016 blog sets out his remain mind set and his identification with the “easyjet generation”) although he has stated he believe Britain will thrive outside of the EU. A party loyalist, Sam’s education voting record mirrors Government aims. He voted for greater autonomy for schools, establishing more academies and raising undergraduate tuition fees to £9,000. On the tuition fee cap its reported that originally Sam believed the HE system should change so fewer people went to university with grants or lower costs. However, he changed opinion deciding participation was the right way forward stating “we must therefore work out how we can continue to fund that” and voting with the fee rise. Gyimah was also involved in the filibustering to prevent the Opposition’s Compulsory Emergency First Aid Education Bill in 2015. Sam’s political interests are HE, small business and international development. The title of the role appears to no longer include science, research and innovation. This may just be a product of short form reporting in the breaking news; the below tweet suggests he still expects the same responsibilities as Jo Johnson enjoyed, we’ll be watching closely to see how the job develops! A 2014 Independent interview with Sam describes his family background, state schooling, and struggles to pay rent whilst at Oxford. 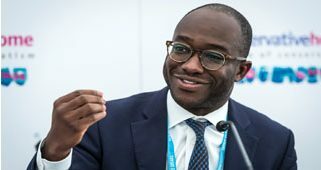 A Wonkhe article What’s in Sam Gyimah’s in-tray? speculates about the new Minister’s role within the sector. Damian Hinds has been appointed as the Secretary of State for Education. His responsibilities cover the full Education remit from early years to HE, apprenticeships, skills and free schools. Damian has a background in social mobility; he previously chaired the APPG on social mobility and was a Member of the Education Select Committee (2010-12). Whilst chairing the APPG in 2012 the committee published Seven Key Truths about Social Mobility – the key messages of which still prevail today. Hinds is known to have criticised how social mobility has stalled within the UK. His political interests are welfare, affordable credit, social mobility, education and financial inclusion. Damian’s previous roles span defence, party whip, the Treasury (Exchequer Secretary, 2015-16), and Minster for State within the Dept for Work and Pensions 2016-18). Sam Gyimah reports to Damian. Hinds is a loyalist and has consistently voted with the Government on education reforms and believes in greater autonomy for schools and establishing more academies. He is a regular speaker within the Commons. He voted to raise the undergraduate tuition fee cap to £9,000 in 2010, he voted against reducing fees to £6,000 in 2012, and voted to end financial support (16-19 year olds in training/FE). In 2014 he led a debate calling on the Government to lift the faith cap preventing the Catholic Church from opening free schools. Interestingly he will now be responsible for the Government’s response to the consultation on lifting the cap. Damian attended a Catholic grammar school before studying his degree at Oxford. Damian campaigned to remain in the European referendum, stating while he saw good points on both sides it was important for economic growth to have more negotiating weight. His constituency is East Hampshire. He supported Theresa May in the Conservative leadership contest. So the PM has two loyalists in control of the HE sector, already the speculation over the much heralded major review of HE has begun: – a succinct Times Higher article Reshuffle paves way for bold review of English HE funding concurred with this and speculated that the planned knowledge exchange framework may also be doomed? DfE: The remainder of the DfE roles are: Nick Gibb, Anne Milton, Lord Theodore Agnew, Lord Nash, all of whom remain in post. They’ll be joined by previous backbencher Nadhim Zahawi as DfE Parliamentary Under-Secretary of State. Education Secretary Justine Greening declined the offered post (Work and Pensions) and has departed from Government. She said: social mobility matters more than a ministerial career. Amber Rudd remains the Home Secretary, and will also be the Minister for Women and Equalities. Greg Clarke remains as Secretary of State for Business, Energy and Industrial Strategy (BEIS). Greg is Sam Gyimah’s second boss. Therese Coffey remains as Parliamentary Under-secretary of State for Environment and Rural Life Opportunities (DEFRA). Conservative Vice Chair for Training and Development is James Morris (previously a backbencher working as PPS to Damian Green). The Minister of State for Immigration within the Home Office is now Caroline Nokes, and she will attend Cabinet. Minister of State for Digital and Culture (DCMS) is Margot James (previously Margot was Parliamentary Under-Secretary of State to the Minister for Small Business, Consumers, and Corporate Responsibility within BEIS). Changes to the Minister of State for Health (2 posts) are Caroline Dineage (previously focused on families) and Stephen Barclay (Treasury). Locally: Tobias Ellwood (Bournemouth East) remains within the Ministry of Defence retaining his role as the Parliamentary Under-Secretary of State (Defence, People and Veterans). On the reshuffle PM Theresa May stated: [this reshuffle brings] fresh talent into government, boosting delivery in key policy areas like housing, health and social care, and ensuring the government looks more like the country it serves. The reshuffle provides fresh opportunity for BU staff to engage with the parliamentarians now responsible for their expertise area to impact on policy. Contact the policy team if you need support to begin building relationships with parliamentarians. Lizzie Pace, a part-time mature student at Birkbeck, University of London, and a former soldier in the British Army. Ruth Carlson, Civil Engineering student at the University of Surrey. Ruth has also joined the Board of the Office for Students on an interim basis. Panel member, Luke Renwick, stated that “given recent controversies, the OfS has a long way to go to instil faith that it will truly work ‘in the student’s interest’”. Johnson’s defence, while balanced, was met with continued challenge from across the house – on process, suitable and merit grounds. The criticism for Young turned into a mini debate including, criticising the tweets and Young’s “dark and dangerous…progressive eugenics” (Halfon, Conservative), questioning standards at Young’s free school (Powell, Labour/Co-op), querying the due diligence of the appointment panel (Jenkin, Conservative; and Diana Johnson, Labour), and the implication for Muslims (Khan). Later that day Toby Young resigned from the OfS Board. On his resignation Sir Michael Barber (OfS Chair) stated: “Many of his previous tweets and articles were offensive… he was correct to say that his continuation in the role would have distracted from our important work.” You can also read the Guardian – Toby Young: how barrage of nudges made OfS position untenable which suggests the remaining OfS Board members were gathering forces and Vice-Chancellor pressure brought to bear on Nicola Dandridge through prior UUK connections. Toby has the final word on his resignation in The Spectator. It will be interesting to see who replaces Young on the OfS Board, whether they will also be drawn from the alternative provider sector. Although after the controversy Young created on the first official day of the OfS I think we can expect the new appointment to have a squeaky clean background! Read the Wonkhe article: A beginner’s guide to the Office for Students. HEPI and Kaplan have released The costs and benefits of international students by parliamentary constituency. The report uses economic modelling to identify the monetary value international students generate for the UK (after deducting a myriad of costs associated with hosting the student). It quantifies these economic benefits at a national, regional and local constituency level. The report acknowledges the wider positive cultural, societal and soft power impacts that international students bring but does not include these aspects in the value calculations. In the report both EU and non-EU students are described under the umbrella term ‘international’. The report uses the 2015/16 cohort entry year but adjusts costs and considers the changed HE systems and context to ensure the figures are relevant for today. It takes a conservative approach to the calculations by including every kind of hosting cost to the public purse that is possible. For example, deductions are made for healthcare, housing, community amenities, education and care of dependents, social security, public order and safety, local resources, defence, economic affairs, recreation and culture, religious provision, environmental protection, student non-continuation, non-repayment of EU student loan post-graduation, and so on right up to the nuclear deterrent submarine that circles the UK. This conservative approach means the net value calculation of the income an international student brings is actually an underestimation ensuring its validity for policy making. To understand more on the methodology read the full report pages 10-28. In 2015/16 there were 438,000 international (EU and non-EU) students studying at HE levels across the UK (19% of all students). The most students come from China (1 in every 4 international students came from China), next were the US and India. From the EU Germany came top, closely followed by France and Italy. International students were roughly evenly split between under and post graduate studies. International students study at institutions throughout the UK. Higher concentrations study in London and the South East, followed by the West Midlands. The South West region has the second lowest concentration (of the English regions) totalling 12,770 international students. The average economic contribution each international student (across their full duration of study) makes to the UK economy is £87,000 (EU students) and £102,000 (non-EU). Aggregating these figures to the national level the UK economy receives £22.6 billion from international students (£5.1bn EU, £17.5bn non-EU). Using the conservative ‘include every cost imaginable’ approach the cost of hosting the international students is £2.3 billion. So each student costs the UK taxpayer £19,000 (EU) and £7,000 (non-EU) over the full duration of their studies. The majority of this cost is their use of public services. This means the 2015/16 starters resulted in a total net economic benefit of £20.3 billion (£4bn EU, £16.3bn non-EU). The value to the economy per student is £68,000 (EU) and £95,000 (non-EU). For every 11 non-EU students the UK economy received £1 million. This means the benefit of hosting non-EU HE students is 14.8 times greater than the total cost. For the South West this equates to £1.21 net impact. As we would expect the highest spending from international students is clustered around the immediate university area, however lower levels of spend ripple out into surrounding areas, meaning the positive impact is experience everywhere (just to a lesser degree). The constituency areas that benefit most from international students are Sheffield, Newcastle, Nottingham, Oxford and Manchester. The top earning constituency within the South West is Bristol West (14th out of the top 20). An intriguing political quirk of the top 20 areas that obtain the greatest net income from students is that all but one are Labour seats. International students attract friends and relatives to visit the UK. This additional income is included in the figures quoted above. In 2015/16 international students attracted a further 330,000 visitors to the UK (averaged at 3 visitors per EU student, 0.9 per non-EU student). The average EU visitor spent £296, whereas the non-EU on average spent more (£822) per visit. Across the full period of study the value is in the region of £3,000 (per EU student) and £2,000 (non-EU). Totalling £0.6 billion to the UK economy overall (£0.2bn EU, £0.4bn non-EU). The report concludes the costs of educating and hosting international students are modest and far outweighed by the benefits. While they are not ‘new’ providers there is increasing news this year of movement within specialist and alternative provision. The sector is hearing the mood music of gradual diversification and extended remits as specialist providers commence a wider offer, mainstream, or join sector bodies. These forward steps for previous fringe dwellers is all part of the current HE atmosphere of change, such as the push for accelerated provision as more standard and universal offer and the OfS registration changes to incorporate and strongly encourage alternative providers. The Government and civil service are stridently pushing for a diversification of HE providers. Jo Johnson spearheaded the charge through the Higher Education and Research Act and stridently supported the alternative, but ill-fated, appointment of Toby Young for the OfS Board. Learning Gain is the latest movement in HE but still developing in terms of consensus, measurement and agreed metrics. A HEPI policy note What affects how much students learn? published on Monday utilised statistical analysis of the HEPI Student Academic Experience Survey (2017) question where students self-report their perception of their own personal learning gain. The analysis combined influencing variables from elsewhere in the survey to determine the top factors which had the greatest effects for students to report they’d ‘learnt a lot: and three surprising variables that didn’t influence learning gain. Access to high quality teaching (as judged by combining the 10 survey questions relevant to teaching quality) was highly statistically significant. This included aspects such as helpful and supportive staff, useful feedback, how effective staff were in explaining concepts. This was significant across the whole range of student prior attainment (judged by UCAS entry points). Whether the student hailed from a gold TEF rated institution had a significant independent effect and increased the likelihood the student reported learning a lot. Interestingly there were no step level effects – only a gold rating produced this effect, silver didn’t result in higher ‘learnt a lot’ ratings than from a bronze level provider. Three factors did not have a significant effect on student’s self-reporting of how much they had learnt: timetabled taught hours (contact time), ethnicity and whether or not students live at home. The findings have implications for the Government’s proposals for more two-year degree programmes as a ‘cheaper’ option to three-year programmes. Currently an undergraduate degree is 360 credits, each credit based on 10 hours of study. Students on accelerated degrees are expected to study for 1,800 hours a year, in excess of the 1,600 hours of many full-time jobs. If they undertake paid part-time work as well, as most students do, the pressure on them is likely to be considerable, with a risk of putting in too few independent study hours and their wellbeing suffering, both potentially leading to doing less well in their degree than pacing their study over three years. So there is a danger that many students will do less well than their potential taking two-year degrees, and that it will be students from less affluent backgrounds who are tempted by the offer. Indeed, if it is more affluent students who choose this route, and who may do so because their higher prior attainment means they can cope with the intensity, that will leave their less affluent peers with the greater debt and loss of earnings from a year less in the labour market. We do not know anything like enough about how students learn or how much they are learning. We need a more scientific approach to this issue, which our new report helps deliver. Asking students how much they are learning and cross-referencing this with their personal circumstances is innovative, illuminating and important. Some of the results are intuitive. Good quality teaching matters as does lots of independent study, while low well-being and many hours of paid work have a negative impact. But some of the results are surprising. Contact hours, ethnicity and whether or not students live at home make less difference. Learning gain is likely to be one of the top concepts in higher education in 2018 and beyond. No one can pretend they have all the answers, but this work shows beyond doubt where we should focus. In relation to mature learners, we saw a further drop of 40% in applications this year. As many mature students used to study at Levels 4 and 5, there has been a decline in demand for these courses and an increase in complaints from employers that they cannot recruit sufficient people at this level. In some industries where the current workforce is approaching retirement, this is becoming critical. The government is trying to tackle this through the creation of a small number of Institutes of Technology. While these may turn out to play a useful role in some areas, fundamentally they are solving the wrong problem. We are not short of institutions that are capable of delivering qualifications at this level rather we are short of students who want to study them within the current system. This is likely to be linked to debt-aversion in older learners who are reluctant to take out loans…, lack of careers advice, particularly for people who left school long ago, and insufficient flexibility of provision. … if we are serious about offering students genuine opportunity and choice, we should promote collaboration between different institutions. Mature students are likely to be far less mobile than their younger counterparts so it is the local offer that will matter to them. Local industrial strategies could provide a vehicle for other areas to think about how best to use all the resources already in their area more strategically to meet the needs of local people and industry. While we recognise that there has to be some system of rationing the amount of education that is supported by the taxpayer, the time may have come to jettison the principle that people shouldn’t be funded a second time to study at an equivalent or lower level. It is no longer helpful. Higher education funding should be as flexible as possible, allowing for people to study for both academic and technical qualifications and to study at different levels at different times – or even concurrently. Some degree students would benefit from doing a lower level apprenticeship alongside their degree as it would teach them complementary skills and enable them to earn a little money while they learn – but currently, the funding system does not allow for a blended model. The sector has undergone a lot of reform in recent years. If we are going to have a major review of funding, let’s tackle the real problems. Pedagogic innovation: HEFCE blog part-way through the catalyst projects to highlight the positives and some pitfalls of engaging students in the pedagogic innovation projects.